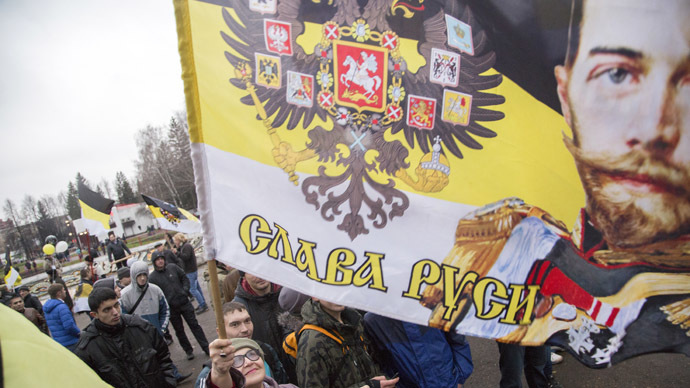 A lawmaker from the populist nationalist party LDPR has prepared a motion to change Russia’s current white, blue and red state flag to the black, yellow and white flag adopted by Russian emperors in the late 19th century. MP Mikhail Degtyaryov has said in a press interview that the imperial flag was much more appropriate for the important events taking place in Russia. 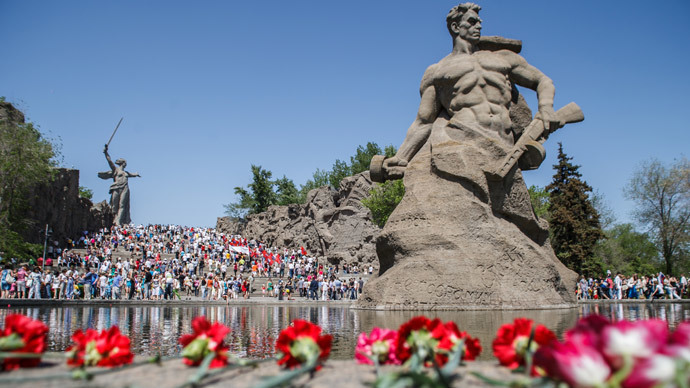 These landmark occasions include Crimea’s accession into the Russian Federation, the start of the Russia-led economic bloc the Customs Union, and the rise of patriotism in general, he said. A similar “victorious epoch of Russian history” was the period of the Russian Empire, Izvestia daily quoted the MP as saying. In the explanations to the draft, Degtyaryov also wrote that when the Russian state was using the black, yellow and white flag its territory increased greatly and included Alaska, the Caucasus, Crimea, Eastern Prussia, Poland, the Baltics, Central Asian states and Finland. “We were achieving brilliant victories when we used the imperial flag and today it is still capable of uniting all Russian citizens. The modern tri-color, returned by Boris Yeltsin in a rush, has never been discussed with the people, no research has been made. In early 1990s all decisions in our country were dictated by US advisers… We need people to think more about the flag that is flying over Russia. 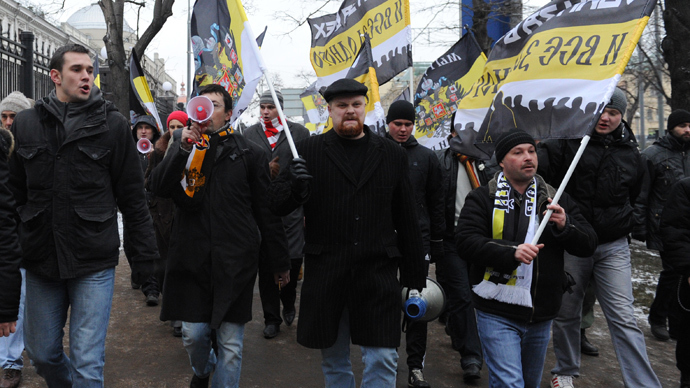 We must return the state flag that matches the resurrecting glory of our nation,” Degtyaryov told the newspaper. He estimated the price of the nationwide transition to the new flag at 15.5 million rubles (about US$443 000). Most Russian historians claim that the current white, blue and red flag was first introduced by Peter the Great in the late 17th century. The Tsar supposedly borrowed the design from the Netherlands, where he studied shipbuilding and other modern trades of his era. The black, yellow and white flag was approved as a national symbol by Emperor Alexander II in 1858 and remained as such till 1896. According to the official explanation the flag borrowed the colors from the imperial coat of arms – the Byzantium eagle was black, the Byzantium banner was gold, and the horse of St George, also pictured on the Moscow city emblem, was white. However, the black, yellow and white scheme was also used by German Kaiser of the same period and back then Russia allied with Prussia and other German states. Various combination of the imperial standard and the white-blue-red tricolor were used between the 1896 and 1917. However the fringe nationalists opposing Yeltsin and his pro-Western policies continued to use the imperial standard, claiming that it was the only ‘true Russian’ flag. It was flown regularly at the ‘Russian March’ rallies and other similar events and is still used by some radical groups. 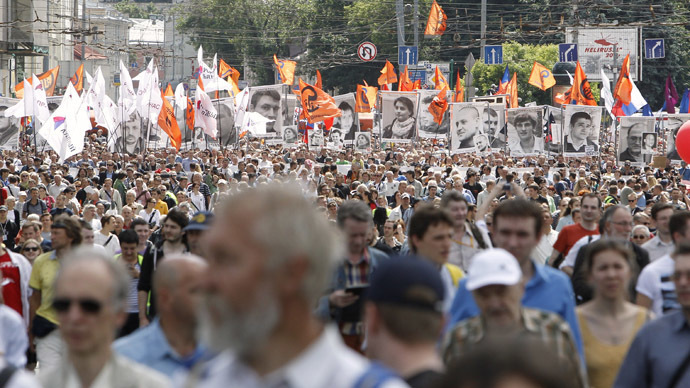 Representatives of these movements have not so far commented on Degtyaryov’s plan. However, the draft drew comment from the founder of Russia’s Monarchist Party. Anton Bakovtold the URA news agency that such suggestions were discrediting the very idea of monarchy. MP Vyacheslav Lysakov of the parliamentary majority United Russia party told Izvestia that the change of state flag in Russia was not very likely. “We have a state flag already, there is nothing controversial about it. We have had such suggestions before, they never ended in anything but empty words,” Lysakov said.